Nicole is a straight laced and straight A college student. She hears this loud noise when she’s waiting for her roommate, Lucy to come home. Lucy is a bit of a free spirit and wild as they come. Lucy has spent the evening with a group of bikers and tells Nicole all about it. Nicole has a boyfriend that might or might not be gay and dreams of having a man that would make her feel attractive and wanted. She suggests that maybe she’ll go with Lucy the next time she hangs out with the bikers. After the break up with her boyfriend, who I’m sure is gay, she agrees to go out with Lucy. Nicole is very excited but nervous, especially after Lucy has slutted up their outfits for the night. She is about to back out when she hears the roar of motorcycles. She then sees Jase, the VP, not that she knows what VP means in biker speak. He’s a very hot man. She gets on the back of his bike and off they go. This is a very short prelude to this series. I enjoyed it and will probably read on depending on the price of the other books. 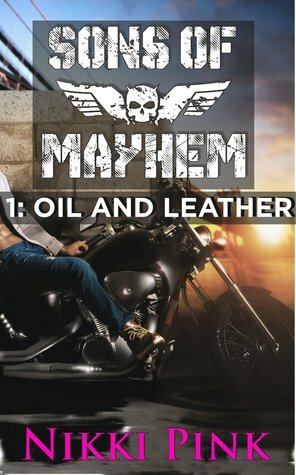 I’m on a bit of a biker bing lately and I’m devouring books in that genre. Maybe it’s because Sons of Anarchy is over for the season but whatever the reason, I’m having a blast.